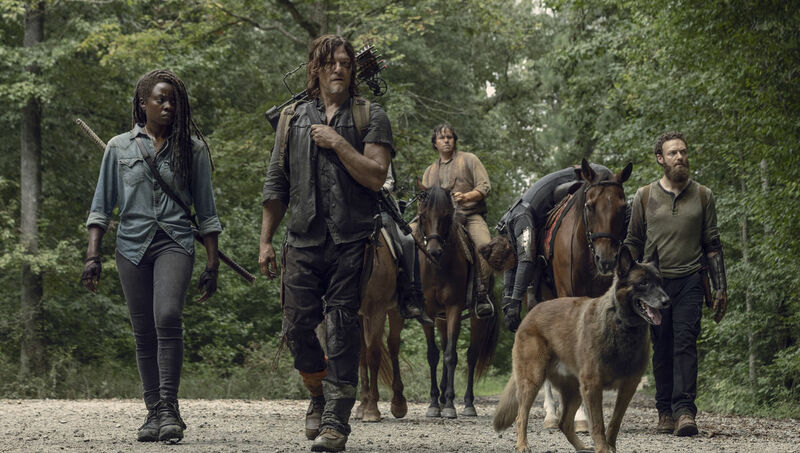 Lincoln's departure was compounded on Friday night when it was announced that the show's next season - Season 10 - will be the final one for Danai Gurira. While we don't know her official episode count, THR claims she'll only appear in a "handful" of season 10's episodes. AMC programming president David Madden spoke with The Hollywood Reporter back in November regarding Gurira's future with the series. During her time on the show, her star as an actor and writer has risen immensely, thanks to a high-profile role in Black Panther and a Tony nomination in 2016 for her play Eclipsed. We're thrilled for what's in store for her. A final sneaky detail: the post notes that the Share the Love event ends on February 27, "right before the arrival of Season 8". The four divisions for the series are the Open Division, Prospect Division, Contender Division, and Champion Division. Are you excited for the return of The Walking Dead on Sunday? "We really want her to stay". Lincoln played show protagonist Rick Grimes since the pilot episode in 2010, but departed in the first half of the current season which ends in March. Obviously, the lesson of Andy is that the show can survive anybody's departure if need be but that's not our goal. Gurira, who made a huge impression past year playing Okoye in Black Panther and Avengers: Infinity War, will be another major loss for the show, which remains one of the most-watched on cable despite the departures of Lincoln and other cast members.